The unsung heroes of the modern DAW, MIDI plugins might not have the glamour and cachet of their audio processing cousins, but they can be an absolute godsend when it comes to turning simple rhythmic, melodic and harmonic ideas into fully-fledged compositions. 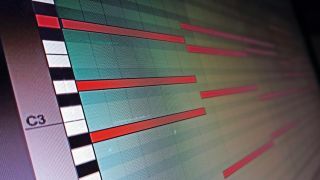 With these eight tips, we'll show you a number of creative uses for your MIDI plugins that you may not have even come close to thinking of. Keep them to hand in your studio and turn to them whenever the muse takes her leave. For more on MIDI plugins and processing, pick up Future Music 289, on sale now. Once you're accustomed to the flexibility of MIDI plugins, you can begin to use them for less common purposes. As they transform note data before it reaches a synth or sampler's input, it's fun to play around with unusual sound triggering and pattern sequencing. Try quickly scanning through FX or vocal samples, for example, or for crazy buzzing effects, unhitch the arpeggiator's speed from the host tempo and adjust its rate in Hertz. The traditional 'up/down' arpeggiated sequence is somewhat tiresome these days, so don't stick with such standard settings. The more flexible arpeggiator plugins allow you to fine-tune note lengths, velocity, transposition, harmonies and other parameters on a per-step basis. Often the simple removal of a few notes is enough to add space throughout the sequence. As an alternative, try setting the rate to a completely different time division. When putting together a remix, try taking a key melodic audio part from the original track and converting it to MIDI. Once you've got the note data in front of you, load up a few MIDI plugins on the channel and seek out a new hook or phrase. You'll maintain the vibe and character of the original track, but likely come across a whole new direction to base your remix on. We've discussed this a couple of times already, but it's worth repeating: if your MIDI plugins are generating an interesting sequence or chord progression, remember to record that channel's MIDI output to a new region (in the same way that you'd record audio to a new track). This saves the pattern to a permanent MIDI file, which can then be easily adjusted or copied to other tracks in your project. MIDI effects are brilliant at creating complex melodic elements, but remember that they can also perform very basic functions with ease. Instead of transposing a synth's multiple oscillators up or down an octave, slap a pitch-shifter on its channel and adjust the pitch that way. Instead of adjusting multiple velocity values inside different regions, use a single device. The benefit to this method is that plugins have a one-click bypass function, enabling you to A/B changes quickly. Combine 'chord generator' devices with an arpeggiator to create impressive musical sequences with a single key press. Use a chord generator plugin to map chords to single MIDI notes, then load an arpeggiator next in the chain. The chord device's output will feed multiple notes into the arpeggiator's input, which will sequence these notes into an ordered monophonic pattern. While plugins are convenient, a tablet's touchscreen is the perfect interface for arpeggiation and sequencing, providing instant visual feedback as you send MIDI data to your DAW (or hardware) and back. Genome, MIDI Pattern Sequencer and Thesys are just three examples of iOS apps devoted to this task, taking MIDI programming away from the computer screen and putting it firmly back within the realm of physical control. Often, the most inspiring moments are created through accidents, so be prepared to abuse your MIDI effect chain. Interesting things happen when you place two or three arpeggiator plugins in series, each feeding varying sequences into the next. Quickly turn your effects off and on, causing gaps in the MIDI data stream. Steep, short automation curves can twist MIDI changes in strange ways, causing glitches and odd occurrences.